Difference "Data Journalism" and "Data Driven Journalism"
It seems the EJC is ditching the "driven" word and I'd like to wonder why? Hey @Tommy Kennis, great question! A few reasons things came up in our discussions with the data journalism community and team here at the EJC that led us to the change. Firstly, there's been discussion for some time that data-driven is not always an appropriate term for every way that journalists use data. Some preferred data-led, or data-informed. A question of semantics I guess, with valid points on all sides. But I think broadening the umbrella term we used for the site allowed us to encompass more viewpoints around this. It allows us to showcase learning materials from a much wider use of data in journalism, from sourcing, to processing, to storytelling. Secondly, we have been working to connect the different data journalism training content we produce. 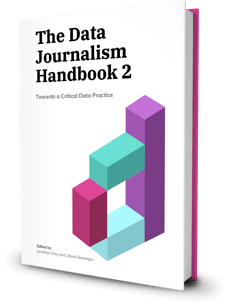 We had ddj.net, LEARNO for data videos, and then the two Data Journalism handbooks. We felt a unifying brand would help people find related and useful content, and bring several of our learning communities together as well as those that find homes within other communities like #dataviz #ddj and so on. Thanks for the elaborate reply @Adam Thomas - that clarifies things. 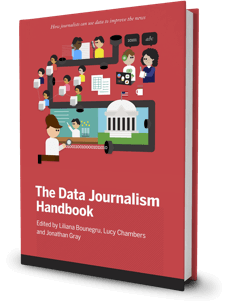 I agree that "datajournalism" is the only real name to have that umbrella function/description. I really appreciate the video courses, and there is a difference between them and on some other platforms. They're really polished. come even with subtitles and provide a nice mix of some not-obvious courses but that that do connect to datajournalism in some form. I will do my best to send other journalists to this platform, as this is the future of journalism!